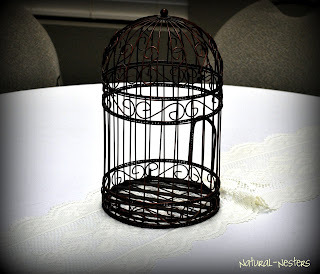 This past weekend I got the wonderful privilege of being a host at one of my great friend's wedding showers. 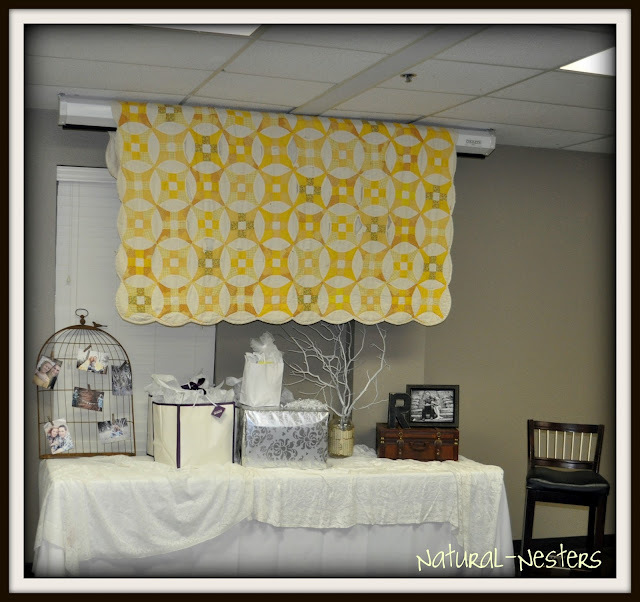 As one of the hostesses my job was to decorate for the shower along with my friend Kelsey. It was so much fun to get to decorate this room the way we wanted, while also thinking about the Bride's sense of style and what she was wanting in her wedding. Basically we used a lot of lace doily's, several suitcases, mason jars & wine glasses, an old quilt, and lot's of their engagement pictures! It all turned out great and really we spent hardly any money because most of the decorations came out of either mine or Kelsey's home. 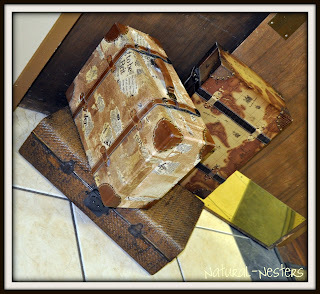 I had a blast decorating for this since this vintage style is not my natural style. If you walked in my house, it would look nothing like this shower. 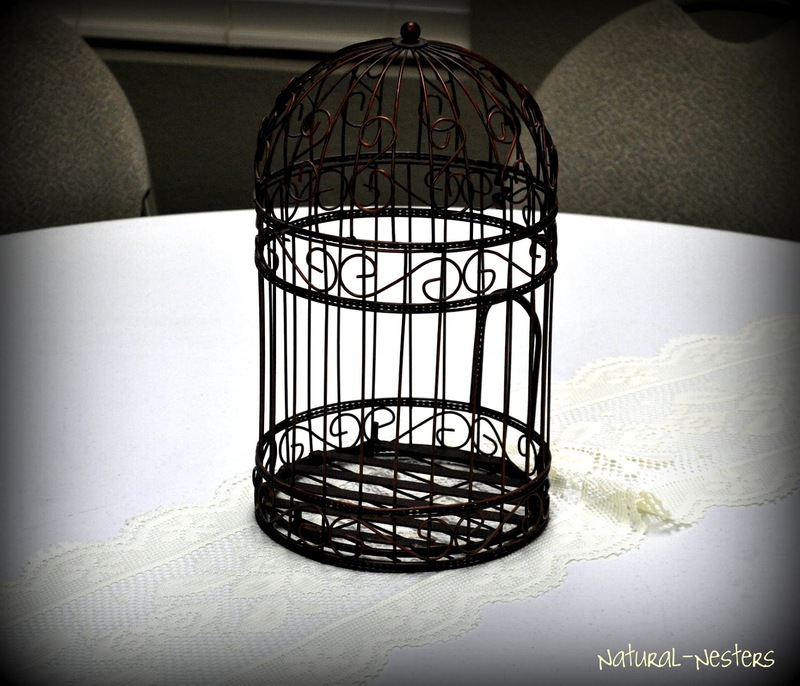 Unlike Kelsey's home who has a lot more remnants of the vintage look throughout her home, mine would just consist of a few of the fun suitcases and bird cages. So I had a blast decorating in a way that is different than my usual style! Let me show you some of the fun we had! This was at the door entrance propping the doors open for people to walk through. The two suitcases on top are mine. At my house I pile three of those on top of one another and make a side table in my living room. They are great! This was the main entrance/greeting table when people walked through. We had a suitcase open for cards to be placed in, pens in a mason jar to sign the guest book, a photo of the beautiful bride & groom, and also an ipad sitting on a stand playing a slideshow the whole time for guests to watch as they come in. 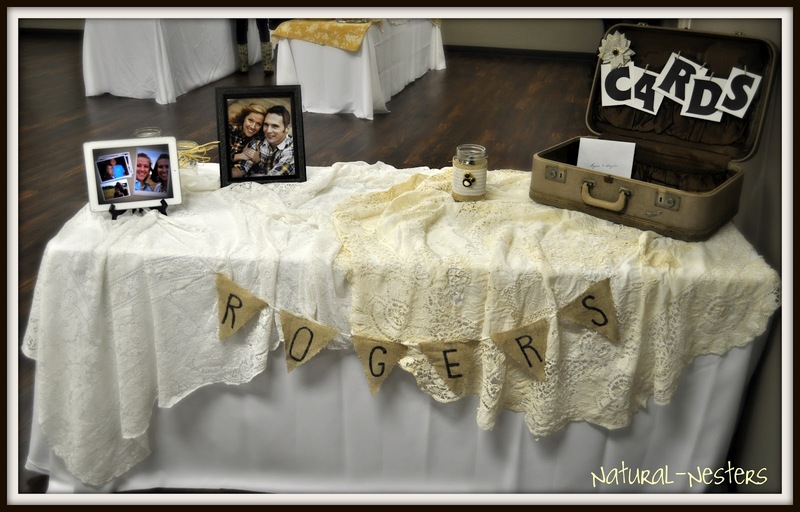 We used lots of lace table clothes together on the tables...it turned out great, and we also had several burlap banners hung around the room. 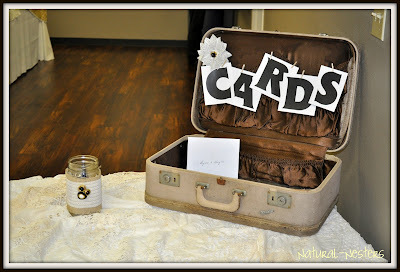 A closer look at the cute cards suitcase! 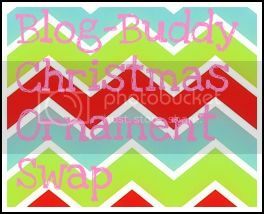 One of the burlap banners I made. This one was done very quickly and very easy. I just cute triangles from burlap and used a sharpie to free hand letters on each piece to display the future last name that the couple will share. Then I just hot glued the triangles to a long piece of white yarn. SIMPLE! This was used at their engagement party! This was really fun to do! 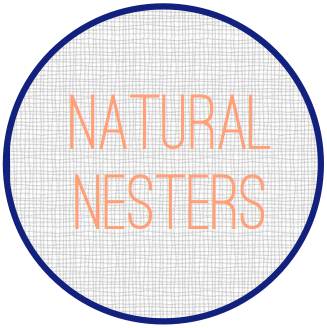 I kind of put a twist on some banners I have seen on Pinterest made from yarn and doilies. 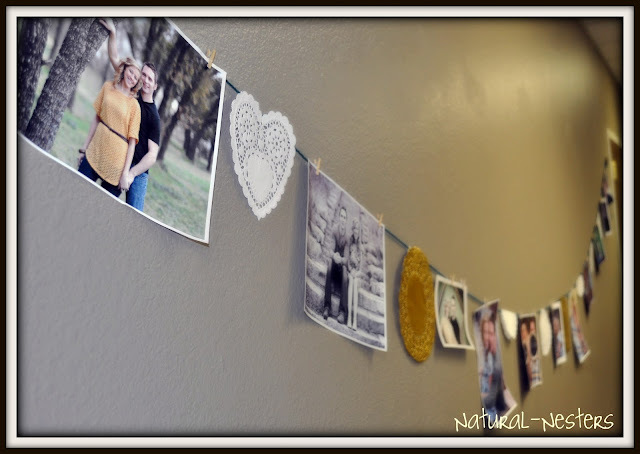 Here I used several types of doilies and hung them between the engagement photos. We had three different lines like this hung throughout the room. It was a fun way to display photos of the couple! For the food tables, we used a lace table cloth and then some random pieces of fabric. At first as my friend Kelsey was putting the fabric on the tables I didn't think it would look good, but I went with it and actually loved it. This is why it was so fun for me to decorate like this because I tried new things and really enjoyed it. Kelsey and I talked about how we worked well together because we could be honest and say no to things we didn't think was a good idea. 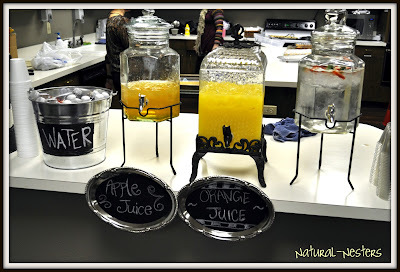 We used cute chalkboard platters to display what drinks were being served. 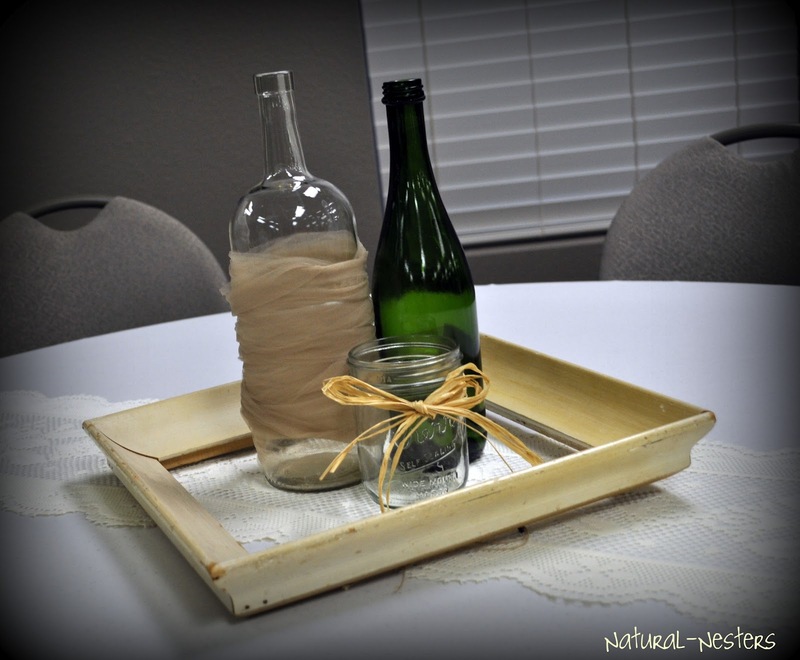 These trays were bought for $1 each at the Dollar Tree then painted with chalkboard paint! 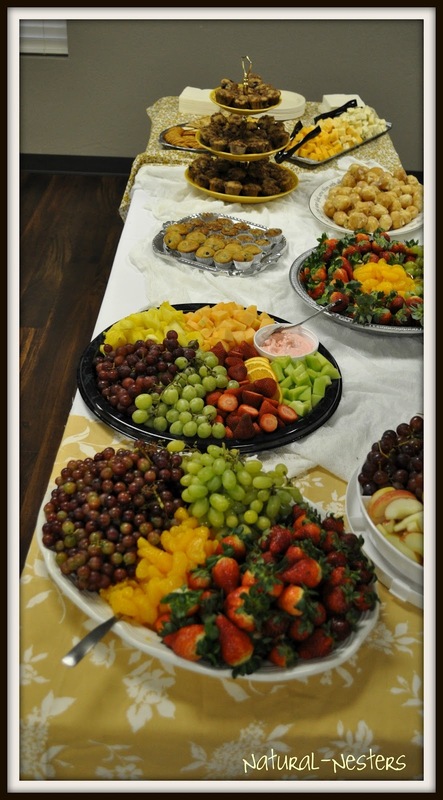 The food was great for the shower! Since it was from 10am-12pm, we did a variety of breakfast foods. From fruits, to muffins and scones, donut holes, and some breakfast casseroles! It was great, and each hostess brought something so it was easy to do. Here's Some fun detailed shots of the decor! 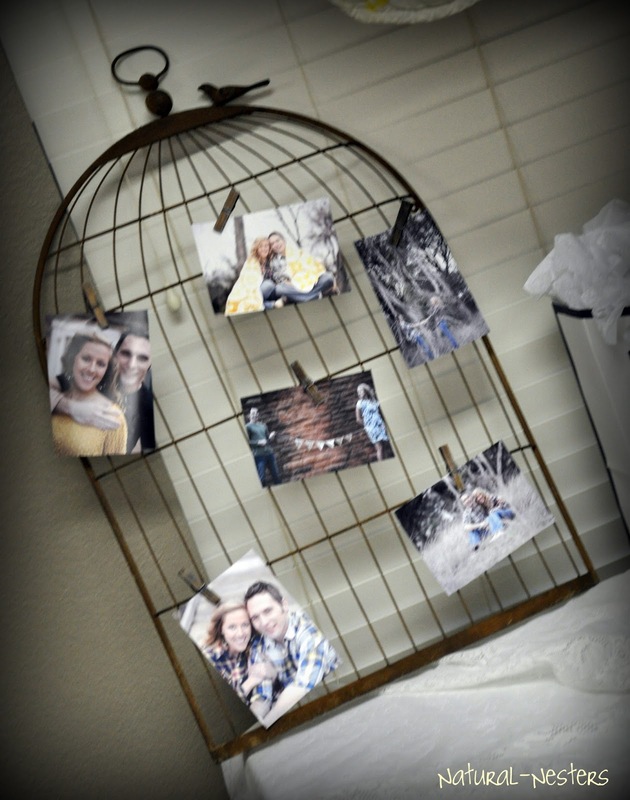 The fun birdcage with pictures clipped to it. 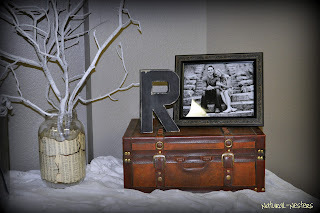 Fun way to display photo and last name letter. 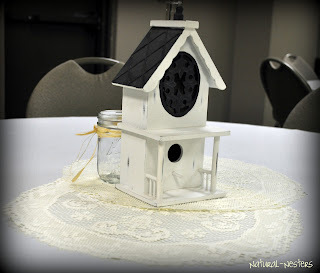 One of the center pieces--we used lace doilies of different shapes and sizes with random fun things on top. This one is two wine bottles and a mason jar inside of an empty frame as a center piece. Then there is the fun birdhouse and mason jar on top of two circle doilies. 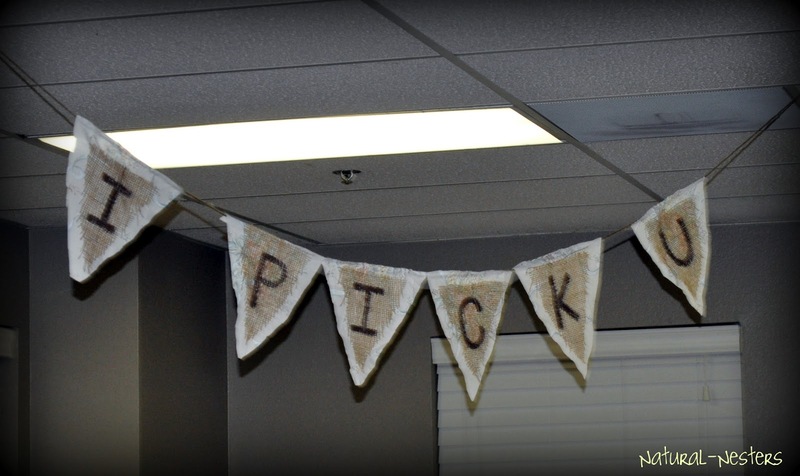 This was a fun burlap banner the Bride made for their engagement pictures! We hung it up in an empty space of the room. 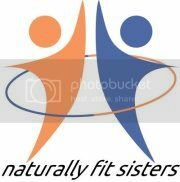 And here is a great picture of some of our friends! The Bride is the blonde in the middle! 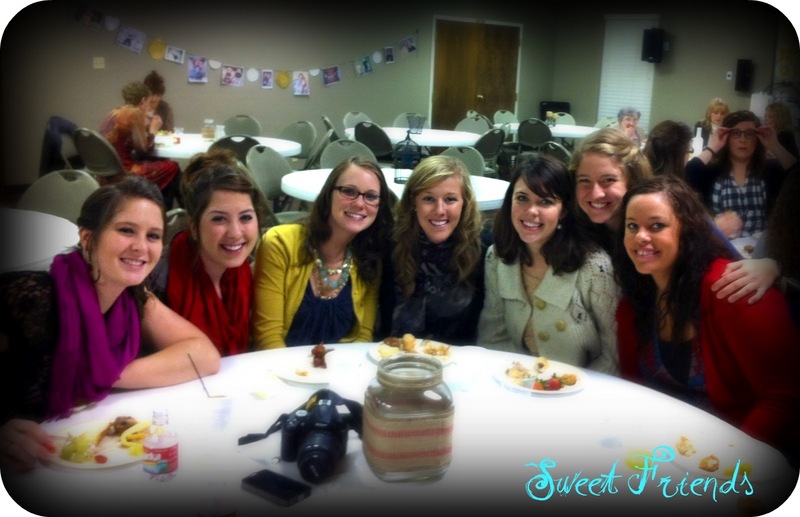 I am so excited for our sweet friends to get married! It is going to be such a sweet and beautiful day! and I am so thankful to be a part of it in this way! 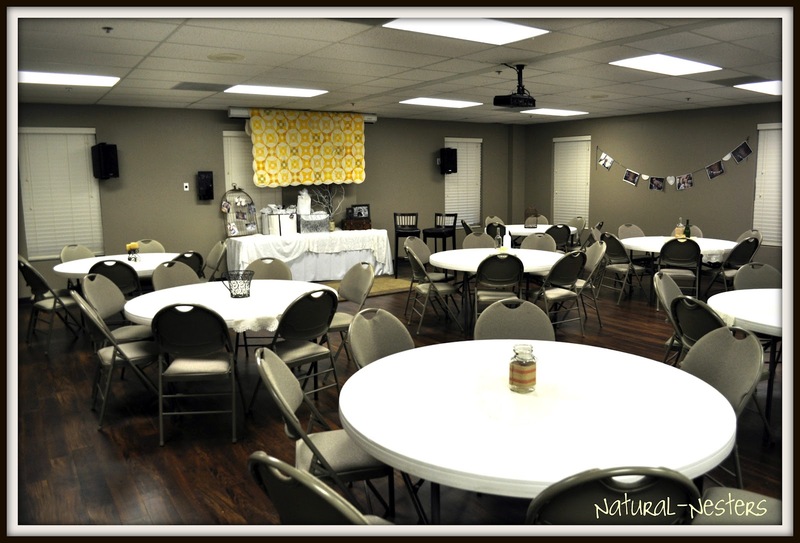 I just love planning parties and decorating. I do some of this in my job as the Student Activities Coordinator of a University, but I would love to be a party planner or wedding planner one day! That is so much fun to me! 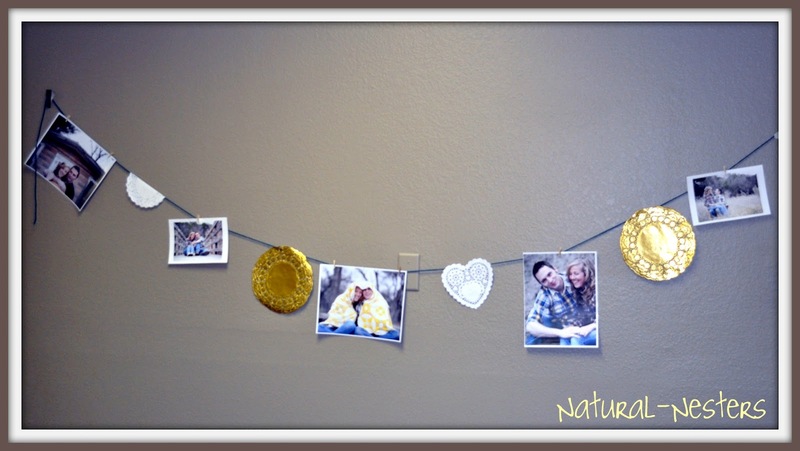 I love decorating! Anyways, I hope you enjoyed the shower as much as I did ha ha! 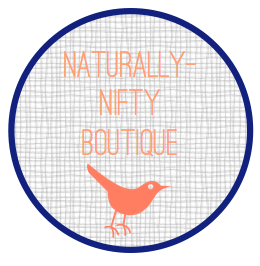 Our Naturally-Nifty Linky Party #3 is going right now! 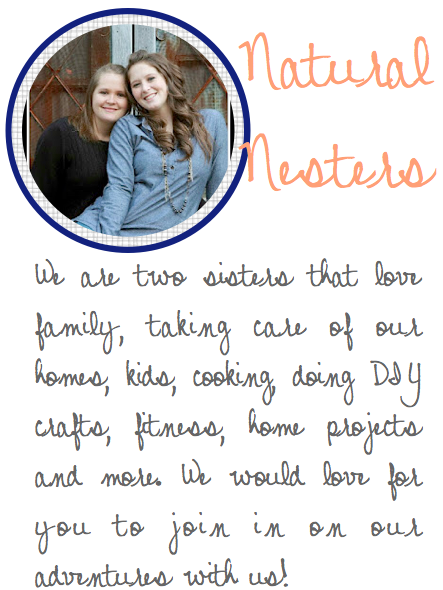 So stop by and link up all your great projects! We will link our favorites and one fan favorite next week! We can't wait to see what all you link up! 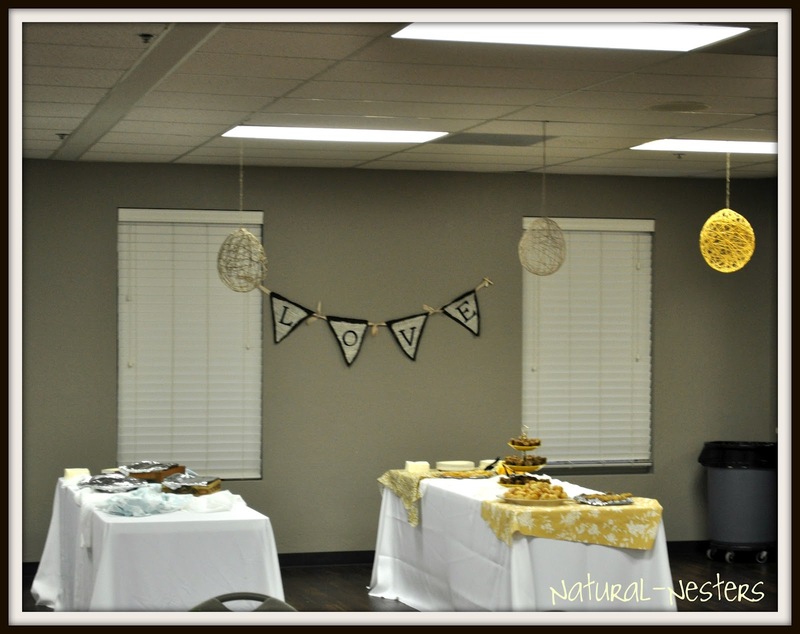 Naturally-Nifty Linky Party #2 & Features!